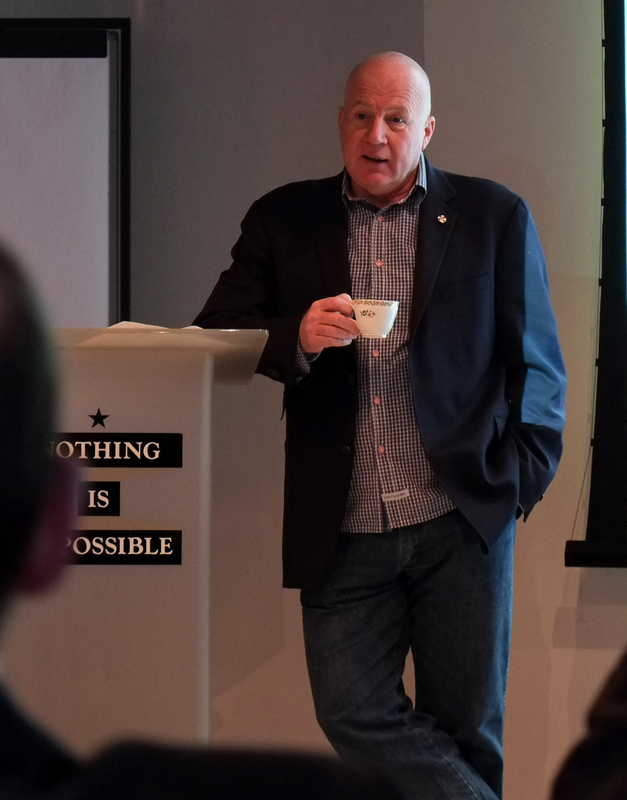 On Tuesday last week, Kevin Roberts Worldwide CEO of Saatchi & Saatchi London kindly hosted a gathering of prospective stakeholders interested in learning more about and contributing towards the Global Rugby Collaborative (GRC). The GRC aspires to unite people and organizations from around the world who are interested in creating positive social change through rugby with a shared vision to “Together, Create a Better World through Rugby”. You can learn more about the GRC here but this blog is more about the process we’re going through to create this collaborative structure. While establishing the GRC network I have read a lot about collaboration. Having also been a member of various high performing sports teams for many years it has enabled me to really reflect upon how best to create a successful Culture of Collaboration. The GRC is a real-life case study, early on in its development. So, I have come up with 3 phases including 7 steps (I love #7) towards building this culture – steps I am currently going through myself! I hope they are helpful to you whether personally or professionally, in developing a culture of collaboration and I would be interested to hear your thoughts. What has worked for you? What have been your challenges? How have you maintained a culture of collaboration, having started one? Step 1: Inspire through a Shared Vision – Why would someone like Kevin Roberts – a world-class CEO, care to contribute his most valuable asset – time – to the GRC? Honestly, I haven’t asked him directly but my guess is he likes the idea that rugby can help change young peoples’ lives. He probably likes it because he appreciates what rugby did for him, what it has done for others he has supported over the years both personally and professionally. I would think also given his role, he appreciates the value and perhaps relishes the challenge of driving forward a creative idea that has the power to be transformational. In short, I’m sure he shares the vision for the GRC and I for one, am very grateful for that! I’m sure the other 30 attendees – all leaders in their respective fields from business, philanthropy, and Sports for Development – share that same vision. So that is the first step – to inspire a group of individuals / organizations to participate as community around a central, shared vision. Step 2: Embracing Leaders – It’s relatively easy to come up with an idea. It’s much harder to execute on that idea and make it a reality. I’ve learnt this through my professional experience with both successes and failures. One of Saatchi’s core beliefs is that “an idea is not an idea until people participate in it”. So, in order for a newly assembled community to collaborate around an idea, you need them to participate in it. One key way to do this is to ask for the contribution of leaders in the space. So, in the field of Sports 4 Development (social change through sport – and rugby specifically) we were proud to have the CEO of the IRB, the President of RFU, CEO of Beyond Sport, the grant Manager from Laureus Sports for Good Foundation, and the Communications Manager from AIG in attendance, for example, among a number of other world-class leaders in their fields. Embracing leaders and asking for their contribution not only provides a fountain of valuable knowledge for the collaboration but also builds momentum, credibility and collective buy-in to the idea. Step 3: Identifying Shared Purpose – Now we’ve gotten people to participate, how can we align them to build a strategy towards achieving the vision? Before we start talking about goals and objectives, strategies & tactics, 100 day action plans, etc, we first need to establish the foundation for this action to be built upon. The foundation is establishing a shared purpose. Core to a shared purpose are our shared beliefs and character. What do we believe in, how would we define ourselves? So, for two examples within the GRC community we believe that “Rugby has the power to change young peoples lives for the better”, “Rugby is a uniquely feasible asset to benefit the communities we serve”. Our character would include traits like: Innovative, Brave, Transparent, Supportive, Passionate, Collaborative. So, we need to understand others beliefs and character traits and unite with those who share the same ones. We then finally define the purpose for the collaborative together. This ends phase 1 (which was last week and is currently being documented) and we move on to phase 2 (this week & going-forward…)! Step 4: Team Based Trust – High performing teams are build upon the most effective combination of individual strengths. Everyone brings different strengths to the table and the right combination of these strengths enables team members to respect each other. From respect builds trust. Because others have different strengths to ourselves, we respect their ability to perform a task and to support us in performing our task. In return we support them in achieving theirs. As a team, we all share the same objective. So, to build a collaborative culture, we need to identify individuals’ and organizations’ strengths and create the right positions through which they can make a meaningful contribution to the team. So, for the GRC we have created 5 task forces: Partnership Development, Fund Development, Network Development, Coach Development and Organizational Leadership Development. Underpinning these will be some generic functions across all task forces – comms & marketing, finance, reporting, etc. However, while enabling people to contribute based upon their strengths is important, we also need to understand how they can gain personal or professional benefit for their contribution. Other than believing in the vision and purpose, what drives their participation? For example, would they like: recognition, personal development, networking, sense of purpose, serving others, establishing deeper connections? Understanding the dynamics of individual motivation is as important as enabling individuals to contribute in a meaningful way. This is also arguably not an easy task to get right! Step 5: Cooperative Game Plan – There are two ways of doing this – bottom up, and top down. I can’t tell you which one works best for the GRC yet as in reality we’ll likely do both simultaneously. Based upon feedback from members and other stakeholders to date, we have a good idea of what we would like to get done to support our members (strategies to achieve specific outcomes). The bigger question is how do we do it, what resources do we need, how can people help? So we will be asking each functional area to come up with a game plan (18 month strategic plan & associated action plans) of what they could do to help contribute towards us achieving certain defined outcomes (based upon our member needs) and likely also defining what other complimentary outcomes they could achieve. We can then compare the proposed functional outcomes horizontally (fit) and vertically (impact) to prioritize and ensure alignment. We will then coordinate resources around the chosen priority outcomes to support each others’ long-term (big hairy audacious) goals as we build step by step in achieving some smaller wins that build momentum and confidence towards us achieving our shared vision. Step 6: Team First, Self Last – This is where the rubber meets the road. Now, its game time – we have to get the work done and it needs to be about the common goals. This is where egos have to be left at the door and individuals and organizations are committed to and contributing towards the vision they couldn’t otherwise achieve on their own. In order to support this, we first need to establish together the “rules of the game” our “code of conduct” – processes and rituals that reinforce collaborative behavior. If we can all agree upon these rules of the game before kick-off, we can hold each other accountable to the collaborative goals during game time and post-match review! Step 7: Collective Celebration – Our code of conduct is not just about doing the right thing, it’s also about celebrating success together. So when we achieve things together we need to shout about it and celebrate not only the collective success but also thank each individual for their contribution towards that success. This may be as simple as recognizing the contribution or saying “thank-you”. More deeply, this reinforces why it is really important to understand each individuals’ drivers for participation so when we thank them, we can ask them what they are getting out of it and how we can help them further that individual need. The more we can support members of the community in achieving their personal objectives through contribution towards the collaborative objectives, the more motivated people will be and the more celebrations we’ll be able to have as we go-forward together! So, lastly as I reflect on this process – I would just like to give a quick shout out and thank-you to Kevin Roberts (top picture) & Saatchi & Saatchi London, our three primary facilitators for the GRC Stakeholder event: Nick Skytland (above left) Adam Armstrong (above, three from left) and Dan Nichols (above right) staff member Mallory Woods (behind the camera), for making our London event so collaborative! 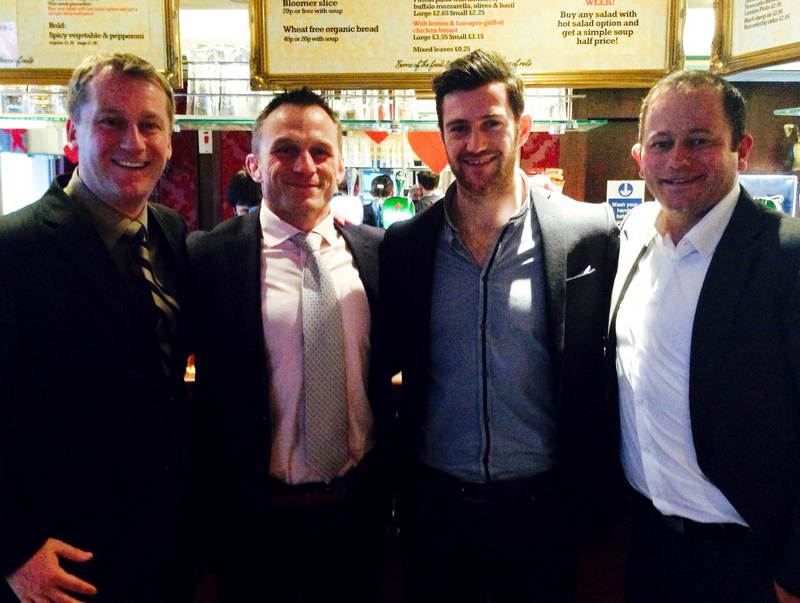 On Tuesday September 10 at the Beyond Sport Summit in Philadelphia the Global Rugby Collaborative (GRC) was born. The innovative international network led by Play Rugby USA is the culmination of a big idea – seeking to unite and support Rugby4Good projects from around the world to create synergy, energy, and opportunity for all. The GRC vision is “Together, Creating a Better World through Rugby,” while the GRC mission is “to create a world of better opportunities for young people, through rugby.” GRC member organizations, at launch, served over 18,000 young people a year across 37 countries, tackling some of the worlds most intractable social issues. 5) SUPPORT – bolster the community through various services to be created for members. The GRC is expected to expand to close to 100 members ahead of the 2016 Olympic Games in Rio and is planning to host a Young Leaders member-based initiative at the Rugby World Cup in England in 2015. One of the GRC’s initial projects will be to establish an International Coach Training Program to build capacity, resources, knowledge, and sustainability among its members. Get involved at the GlobalRugbyCollaborative.Org.